"The Curtain Pole" is a short comedy directed by D.W. Griffith. The film is included in our program to illustrate the work of three of our stars: actress Florence Lawrence, actor Arthur Johnson and cinematographer Billy Bitzer. 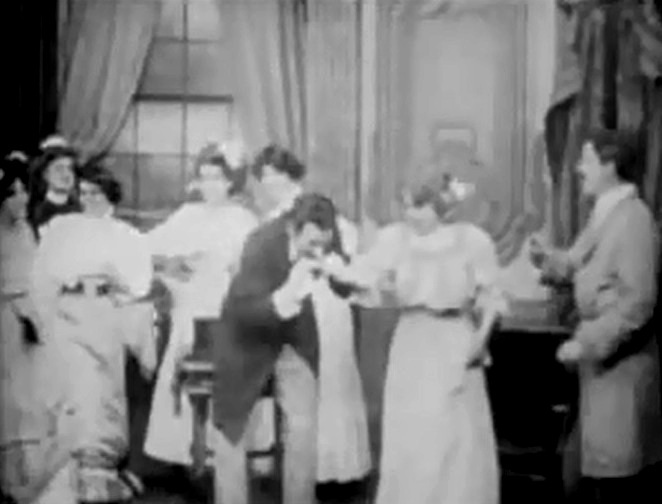 Mack Sennett kisses Florence Lawrence's hand as her husband looks on in "The Curtain Pole" (1909), directed by D. W. Griffith, cinematographer Billy Bitzer. Mack Sennett offers his help to Florence Lawrence in "The Curtain Pole" (1909), directed by D. W. Griffith, cinematographer Billy Bitzer. Mack Sennett is on his way back in "The Curtain Pole" (1909), directed by D. W. Griffith, cinematographer Billy Bitzer. 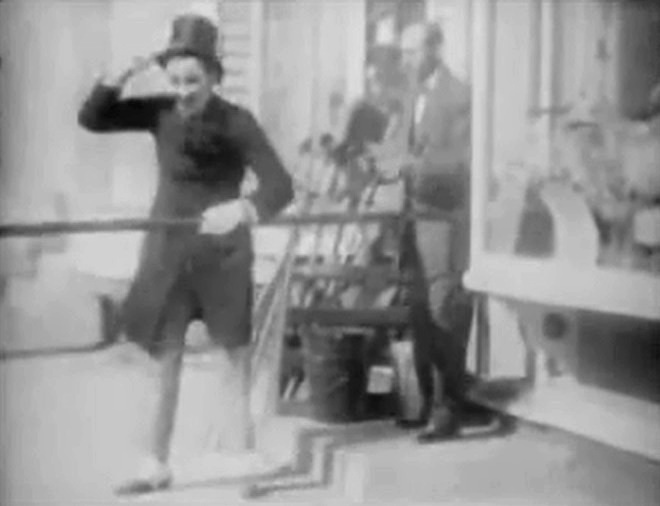 Florence Lawrence likes the new pole as Arthur Johnson arrives in "The Curtain Pole" (1909), directed by D. W. Griffith, cinematographer Billy Bitzer. 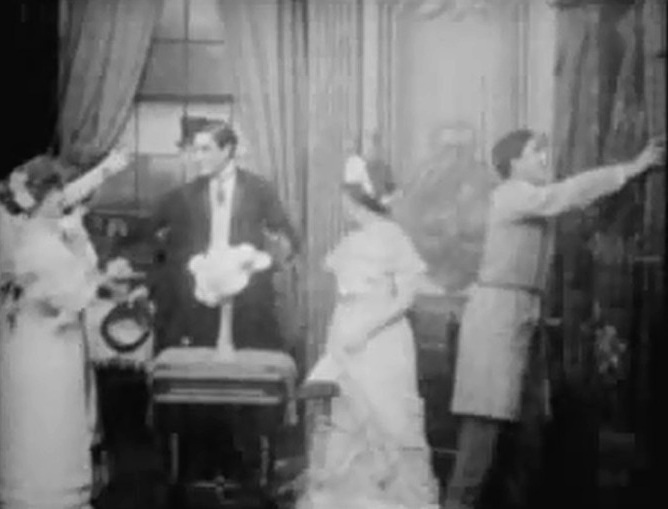 Florence Lawrence is glad that the pole is fixed as Arthur Johnson and other guests arrive in "The Curtain Pole" (1909), directed by D. W. Griffith, cinematographer Billy Bitzer. 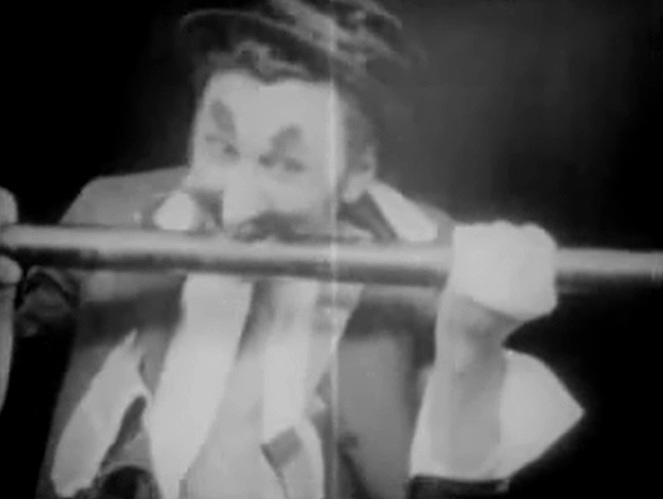 Mack Sennett chews the pole in disgust in "The Curtain Pole" (1909), directed by D. W. Griffith, cinematographer Billy Bitzer.